The “electrical air agitators” (how they were called at the turn of the century) have been the first real “appliances” sold on a large scale, on a global level. Probably not many know that their widespread diffusion is mainly due to Ercole Marelli, an Italian industry. Marelli in fact, first among all, launched on the market a series of lighter, more elegant and functional models, especially suitable for domestic use. Marelli thus gained the sector’s leadership, holding it for a long time, especially between WWI and WWII as their fans had a world-wide reputation for excellence and superior quality. So much so that Ercole Marelli by itself sold more fans in the territories of the British colonies then all the other manufacturers together. 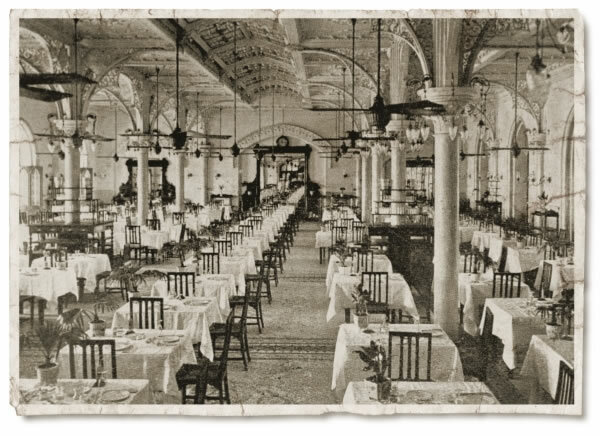 As of 1905, Marelli launched on the market what soon became the most representative and efficient 3-bladed ceiling fan of the early 1900’s: the “Maestralino” model, exported world-wide in large quantities for more than three decades. These period fans, manufactured with basically indestructible materials (cast-iron chassis and brass fittings), although now, fewer and fewer, can still be found mainly because most of them are still in working condition. By today’s standards, it is quite incredible how these fans were built to last, and it is no wonder that once restored, they still amaze us with their efficiency, durability and beauty.